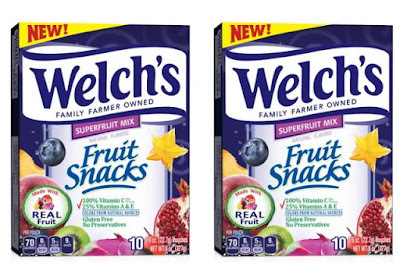 Welch's gets into the "superfruit" trend with the introduction of new Welch's Fruit Snacks Superfruit Mix gummies. The fruit gummies feature a number of varieties in each pouch, including: Pomegranate-Passionfruit, Starfruit-Kiwi, Dragonfruit-Blackberry, Açai-Blueberry, and Goji–Apricot. Superfruits (and superfoods) are fruits that are thought to have some kind of standout nutritional quality (like high in antioxidants, certain vitamins, and the like). 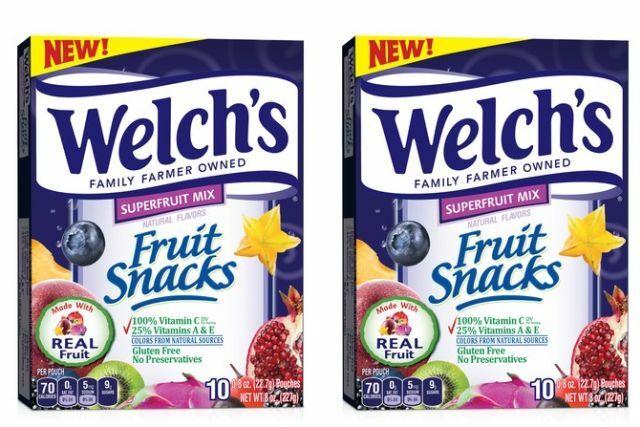 Welch's Fruit Snacks Superfruit Mix is available in a 10-count box of 0.8-oz pouches for $2.99, 22-count box of 0.8-oz pouches for $5.49, 5-oz bag for $1.99, and 2.25-oz bag for $1 (prices may vary).